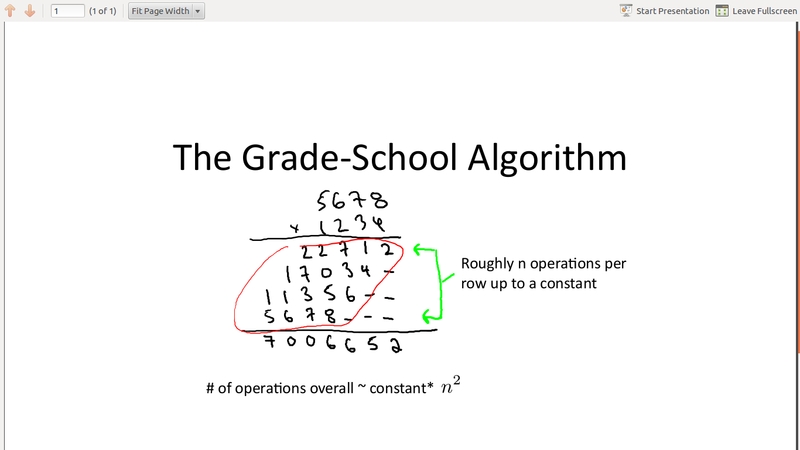 I’ve enrolled in Stanford Professor Tim Roughgarden’s Coursera MOOC on the design and analysis of algorithms, and while he covers the theory and intuition behind the algorithms in a surprising amount of detail, we’re left to implement them in a programming language of our choice. 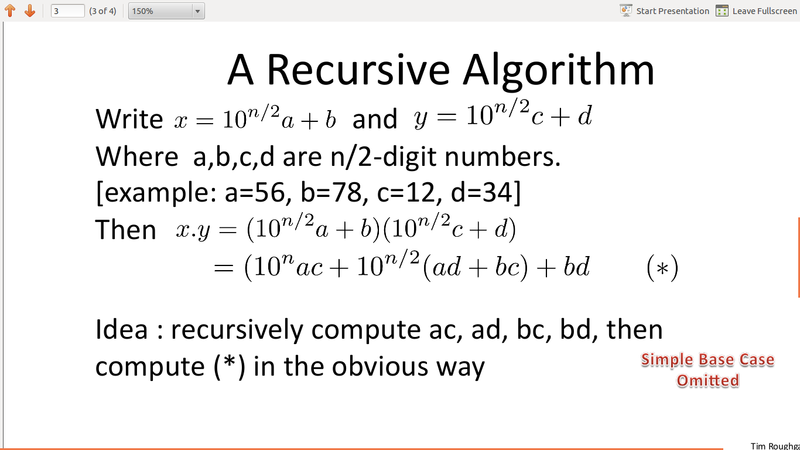 And I’m ging to post Python code for all the algorithms covered during the course! Karatsuba’s algorithm reduces the multiplication of two n-digit numbers to at most single-digit multiplications in general (and exactly when n is a power of 2). 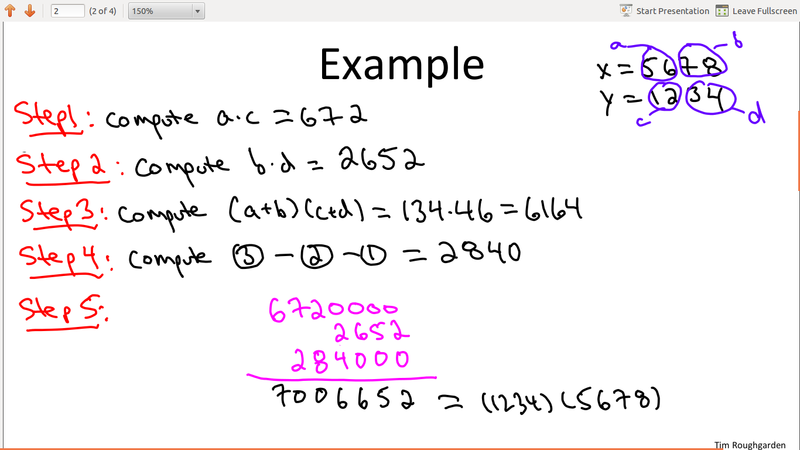 Although the familiar grade school algorithm for multiplying numbers is how we work through multiplication in our day-to-day lives, it’s slower ( ) in comparison, but only on a computer, of course! 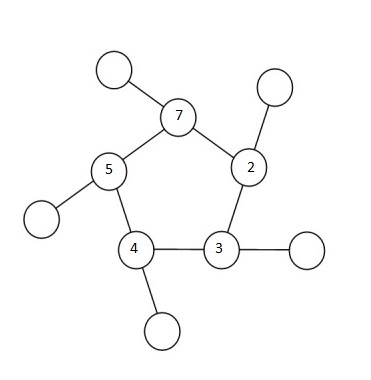 A more efficient implementation of Karatsuba multiplication can be set as , where . 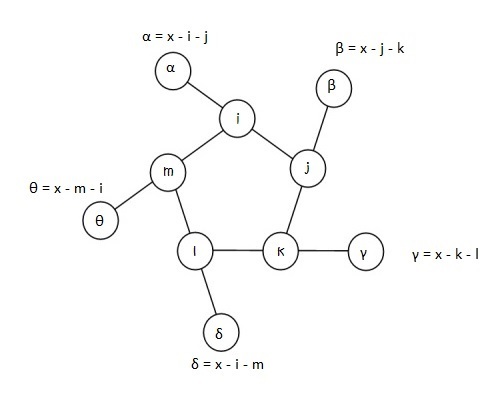 result = z2 · B2m + z1 · Bm + z0, i.e. result = 72 · 10002 + 11538 · 1000 + 272205 = 83810205.